Some of the most common questions we receive here are about using mixers as phase detectors. We previously discussed this topic in the post, “DC Offset and Mixers as Microwave Phase Detectors”. In this post we will go into much further depth about the physical mechanisms by which mixers act as phase detectors, and what is important for engineers trying to accomplish this in the lab. First a warning though: we’re just showing experimental results here. The real experts in phase detectors, phase noise, and all things related to phase are the people that do this every day at Holzworth Instrumentation. The situation is similar for out of phase signals, except that current is always pulled out of the IF balun, thus creating a negative DC voltage at the IF port. 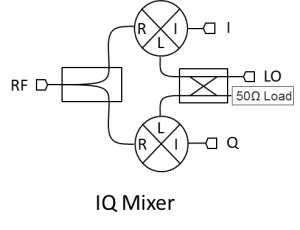 For quadrature signals, there is equal current flowing both into and out of the IF balun. This means that no net DC current is created, no net voltage is apparent. The IF port is essentially always a DC virtual ground. This is the physical basis for why a double balanced mixer will show no DC voltage for two signals in quadrature2. Now we would expect this to be a peak at 0°, and the minimum to be at 180°. What is going on? This is a phenomenon that is documented by Stephan Kurtz in the previously referenced WJ app note. In modern double balanced mixers the RF and LO baluns are not identical. In fact, they are not even close. One side is built as a magic tee, where the IF is removed, and the other side has a return to ground on it. 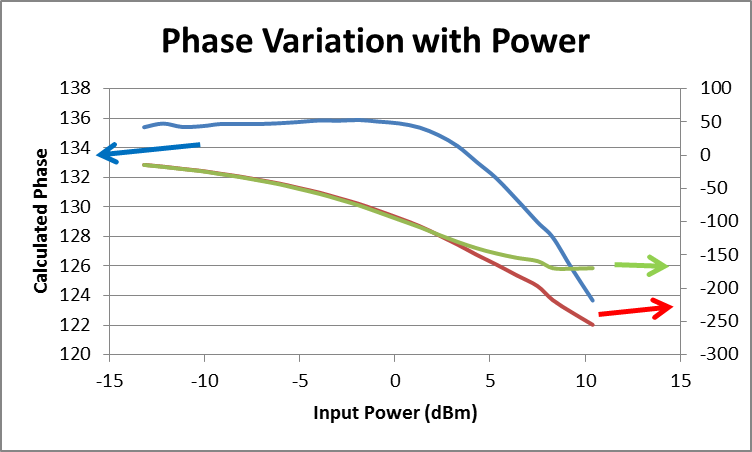 Even though the LO and RF baluns traditionally cover identical frequency bands, there is no reason that they need to. They can be completely different! This means that they most likely have a different electrical transmission length and phase delay, which is why the peak of the voltage curve is not quite at 0°. 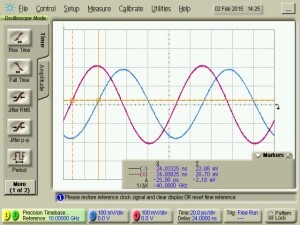 Another effect highlighted in this app note is that there is a voltage offset that shifts the entire curve up (or down). 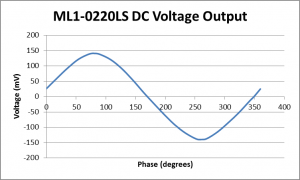 As we detailed in our first post, the excellent balance and isolation of the ML1-0220 minimizes this DC offset and makes it not noticeable for this plot. 1 Note that the necessary DC current return to ground path is necessary but not illustrated for clarity. 2 It is easy to imagine how to extend these principles to the situation where the signals are not at their peak or zero values, and similarly to phases that are not either perfectly in phase or out of phase. 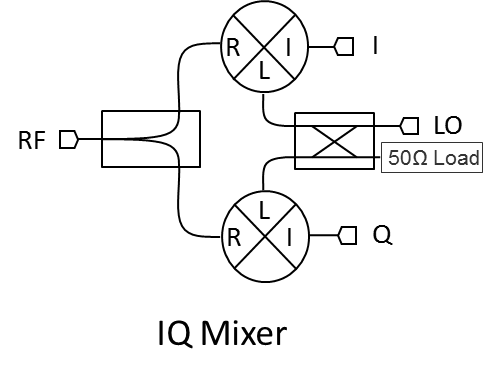 While superposition does not strictly work in a nonlinear system such as this, the results one would expect from superposition are maintained qualitatively. Now we can calculate the phase of the signal. Excellent. However, there are two ambiguities that we need to clear up. Since this is a sine wave instead of a sawtooth wave, there is some ambiguity about the phase. The same output voltage could be two different phases, except for the max and min. This is fine if you are doing phase noise testing, where you put the two signals in quadrature and just look at any voltage that comes out. For actually detecting the phase between two signals though, it isn’t enough information. 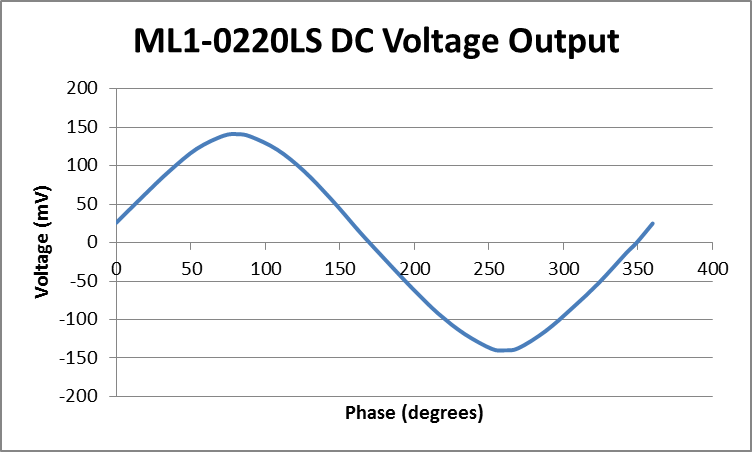 The second ambiguity is that we need to know the max and min voltage levels, as well as the DC offset, to determine the phase. Since the DC offset in Microlithic mixers is small we can ignore this, but we still have a problem if the incoming signals change power at all. How do we resolve this? One way is to use two mixers as phase detectors and deliberately introduce a phase shift between the two inputs (RF and LO). 180° is no good, because the phase ambiguity remains, so a balun is out. A length of line changes phase with frequency, so that is out too. The other broadband phase shifting options we have are a Schiffman phase shifter or a quadrature hybrid. The quad hybrid is much more common and easy to build3, so what would a structure with a quadrature hybrid introduced on one side look like? As you can see the power levels the agreement to 135° is excellent. As we increase to higher power levels, one of the mixers compresses sooner than the other mixer, and the phase is thrown off. Up to 0 dBm, however, the agreement with the real phase is excellent. This does not address what happens when one of the signals is significantly higher than the other one, nor with double balanced mixers when you are just trying to detect phase changes, where high powers are desirable to increase sensitivity. Now that we have examined the physical mechanisms of how mixers work as phase detectors, we can do the reverse and see how they work as phase modulators. This is the subject we will tackle in our next post, “All About Mixers as Phase Modulators”. 3Quad hybrids are easier than Schiffman phase shifters, but still ridiculously difficult to build broadband. You don’t have to trust me, you can try yourself, and then buy ours when it takes you 6 months. 4You also have to convert to a -180 to +180 phase range, or 0 to 360, or whatever. Arctangent only gives you values from -90 to +90, so you have to use the sign of the signals to figure out where exactly you are. 5How do we know the phase is 45 degrees? Because we put the signals in quadrature (which is the same at any power levels), and then moved them 12.5 ps on the oscilloscope, equivalent to 45° at 10 GHz. The phase ambiguity stays in the IQ Mixer since atan function has period 180 degrees. Your atan function is unwrapping the phase by using some other information. What is this other information and how is it implemented? Allow me to reply to myself ( I was quick to ask!). You infact mention this problem and that you need to take care of the signs to unwrap. Alternatively one can check the implementation of the atan2() function in software. That is correct. You always need a return to ground for the IF current or the mixer will not work, and I neglected to show that on the circuit diagram. Good catch. Suppose that RF and the LO are not on the same frequency, so the IF signal is a sine wave in the difference frequency. Can you explain how the PLL will lock the VCO using the mixer phase detector? If the LO and the RF are not at the same frequency, then you would need some kind of receiver to detect the difference frequency signal, then demodulate the phase of that signal.